Blade Quadcopters are some of the most popular drones available. Best known for their exclusive SAFE (Sensor Assisted Flight Envelope) technology, a revolutionary electronic flight envelope protection system that makes it easy for anyone to start flying quadcopters. SAFE provides intuitive capabilities allowing the drone to handle windy conditions so that performance is consistently smooth. Pitch and roll limits are locked to offer a flight envelope that makes staying in control easy. 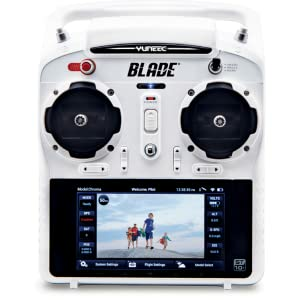 Blade offers a full line of quadcopters for both beginners and experienced flyers who want more without spending a lot. Prices start under $60 bucks for the Blade Pico QX quadcopter, the smallest heli Blade has ever released, to just under $600 for the Chroma Camera Drone that uses GLONASS and U.S. GPS for greater accuracy and reliability. The Blade Pico QX quadcopter is the smallest heli Blade has ever released and is among one of the most effortless ways to experience RC flight. Thanks to the simplicity of flying with SAFE (Sensor Assisted Flight Envelope) technology, you’ll be piloting this compact quad in no time. With flip mode functionality included, you can perform effortless single or double flips like a pro with only the push of a button. Charging is easy, all you need to do is plug the included USB charge cables into a USB port and you’re ready to charge the internal flight battery or transmitter. The addition of propeller guards minimizes the effects of collisions and helps to ease new pilots into RC flight. In the event the propeller blades get worn out; four replacement blades are included with the Blade Pico QX. The Blade Inductrix drone is an ultra micro machine that can be flown just about anywhere. Four specially tuned EDF rotor systems give this modern quad the appeal of a jet. As a result, performance feels incredibly smooth with far less noise than a conventional propeller rotor system. Durable rotor housings inherently prevent damage whether it’s bumped into walls or falls into the grass. Brilliant LED orientation lights and a sleek body design help keep you going in the right direction. Innovative SAFE® technology with self-leveling makes staying in control easy, even if it’s your first flight. The ultra micro Blade Nano QX 3D quadcopter breaks the barriers of maneuverability by making high-speed flips, hair-pin turns and inverted flight simple to perform. Intuitive SAFE technology delivers smooth flight, self-leveling and multiple flight modes. Clever design and reverse motor technology allows the Nano QX 3D to be strong and light, so there’s almost no penalty for error if you practice aerobatics over plush carpet or soft grass – you’ll have a blast! Never flown a quadcopter before? No problem. The Nano QX uses the SAFE technology system with sophisticated flight control software to keep itself stable in a hover while in stability mode. If you get in trouble, just let go of the sticks. The SAFE technology system will bring the Nano QX back to a hover all by itself. The Blade Glimpse drone is the ideal platform for getting started in aerial photography. 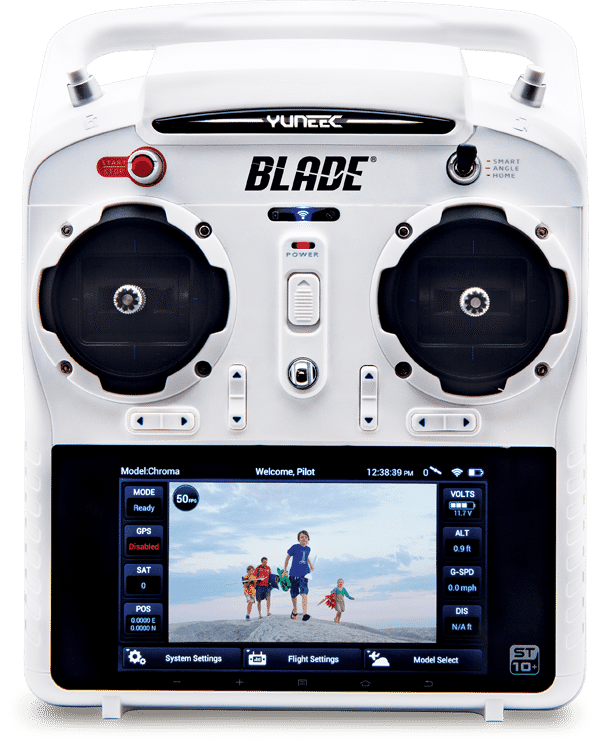 Despite its nano-size, the durable design can fly indoors or out and features an integrated camera with HD recording plus FPV video down-link capability. SAFE technology helps keep the drone steady and you in control from hover to forward flight and back again. The Blade 180 QX combines the latest in quadcopter innovations with HD video and image capture capabilities. Utilizing SAFE technology, the 180 QX maintains superior stability in three flight modes. With the included E-flite EFC-721 camera, pilots can experience aerial video and image capture by simply activating the triggers on a Spektrum 5+ channel transmitter after programming it. Ideal for both indoor and outdoor flight. The tiny Blade FPV Nano QX quadcopter is a totally immersive RC experience you can take everywhere. Incredibly light and surprisingly durable, the FPV Nano QX can be flown in spaces no bigger than an office cubicle. Its potent motors are smooth and Spectrum 2.4GHz DSMX radio technology delivers outstanding 4-channel maneuverability. But it’s the exclusive SAFE technology built-in that offers a quadcopter experience like no other. Flying is incredibly easy and more fun-even if it’s your first time. Plus, the Spektrum ultra micro FPV camera is already installed which means you can get started in the short time it takes to charge the batteries. An Immersive RC Flight Experience Focused on Performance. The Blade Mach 25 multirotor makes getting into 250-class quad-racing easy. Thick carbon-fiber plate construction with robust aluminum support makes this fully assembled racer lightweight and incredibly durable. In the event of a mishap, replacement of the self-tightening propellers is all you’ll likely need. Brilliant LED lighting helps with orientation and identification in the heat of a race. Powerful motors that are canted forward help give you the performance edge while the protected ultra micro FPV camera is soft mounted for the best view. Looking for a high-performance aerial platform for your GoPro camera? This Ready-To-Fly version of the Chroma Camera Drone has everything you need. Shoot smooth, steady aerial video with your GoPro camera (not included) Easy to fly – no experience necessary. Everything in one box, 30 minute flight times (Dependent on flying style and/or wind conditions. ), Advanced SAFE Plus technology Smart Mode for beginner pilots, AP Mode for experienced pilots, autonomous Follow Me and Tracking modes Return Home function, Live video and telemetry info on controller display, Uses GLONASS and U.S. GPS for greater accuracy and reliability, Mast-mounted GPS antenna for superb signal reception. – Large, 5 ½ inch touch-screen display with intuitive Android interface. – Displays live video and real-time telemetry info like speed, altitude and battery voltage. – Clearly marked switches and buttons. – Super-simple flight and camera controls. – Left slider switch for adjusting camera tilt. – Right slider switch for adjusting drone speed. The Blade Zeyrok drone is a durable quadcopter the beginner pilot can’t beat. Available in a yellow or green airframe with brilliant LED status lights, SAFE technology makes flying easy. Choose the RTF, BNF or RTF with a removable HD camera. The Blade Zeyro quadcopter is the ideal drone for new pilots and anyone who wants a fun flying experience. Based on a proven power system, its next-gen airframe has been industrial engineered to have a futuristic concept-appearance that’s incredibly durable. The Zeyrok drone is designed with multiple flight modes to provide the kind of confidence-building flying characteristics that makes lift-off as smooth as possible. As a result, you can rock from beginner to expert drone pilot at the pace that’s right for you.